Happy 21st Birthday to You! Your 21st birthday is approaching. Some of you might be asking; "What's so special about being 21? What's the significance?" U: are Special! Celebrate with Style! Well, being 21 means that you are legally an adult and thus you receive voting right. It also means that you can walk into any establishments like clubs and bars where alcohol are sold. But more importantly, you could make major life decisions without parental consent; like marriage, buying a house, etc. So to most people in general, it is definitely an occasion to celebrate. Some people will make it a point to celebrate it by going to a club and have their first drink there. But that might be okay if all your friends are 21 and above. Otherwise, it is best to have a home party so that your underage friends can also join in your celebration bash. Of course, you can still go out to the club after the party with some of age and older friends. Throwing a home party can be real fun even if you are the one organising it and inviting your friends over to your home for the event. Or... you are not the birthday guy or gal but someone; a friend or family member like a parent throwing the birthday party for your friend or son or daughter. Below are the stuffs you will need to take note of. For birthday card design ideas, check out this page for inspiration. Getting the birthday invitations out on time so that the guests can respond whether they are coming or not. This is important so you know how many people you need to cater for. Whether it's in the home or another rented venue, you need to give yourself time to plan. You will want to decorate the place to achieve the environment and atmosphere you want for this special occasion. It could just be a few simple banners or you could go wild and make it elaborate with a particular party theme. Anyway, you will need to plan and execute your plan accordingly to make the party a success. Things to consider would be party theme, decorations, party favors, birthday gifts, food and drinks, etc. If you're a party planner and it's a surprise party for the 21st birthday person, then gathering as much information about his favorite food, hobby and other likes would be important. You can do this by contacting his friends and family. Otherwise, sitting down with him or her to discuss the whole arrangement together is a smart move to make the party more personal and successful. 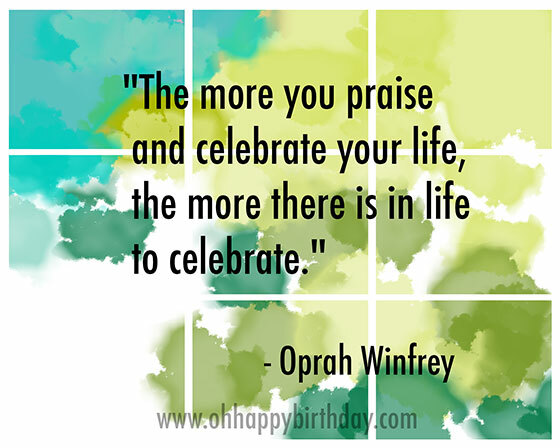 Please let me know what you think about this birthday card and/or article? Leave me a comment in the box below. Hi! I'm Flora! :-) Welcome to my site for all things related to birthdays; birthday cards and invitations as well as birthday celebrations, party decoration ideas and more. Sign up! I'll send inspirations straight to your inbox. It's free! Happy 40th Birthday card with Japanese woodcut design of a flower. Free printable available for download and print. 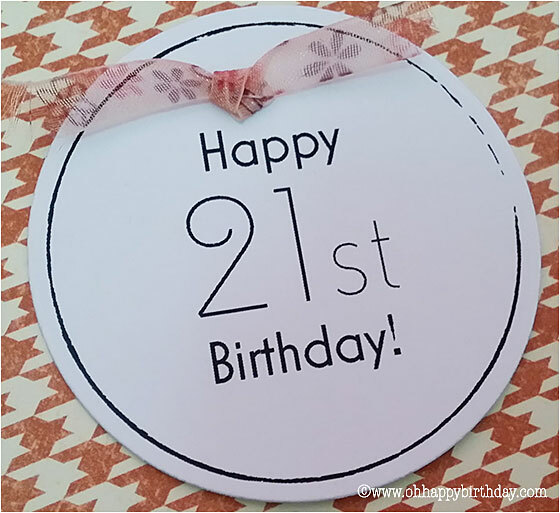 Unique 21st Birthday cards that can be customized to send personalized birthday wishes. Choose a card design that will bring a smile to the card recipient. ©2018 Flora Tan www.ohhappybirthday.com All rights reserved.